In fairy tales and the imaginations of children, flowers can be as tall as trees. We all remember Jack and his magic bean stalk. Now Breck's brings you a floral fantasy come to life. 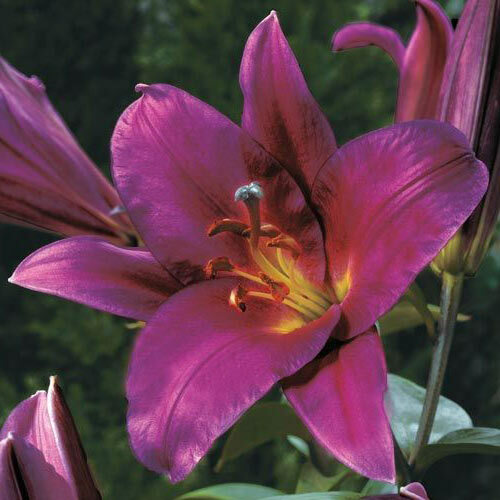 Our magical Lily Trees are the breathtaking result from years of selective breeding. They offer you all the advantages of the finest hybrid lilies—massive, upward-facing trumpets of vivid colour, delicate fragrance and exceptional reliability. 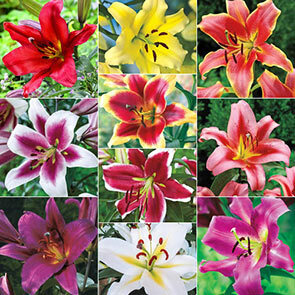 Every plant bears 4 to 5 flowers the very first year and 20 to 30 after three years! 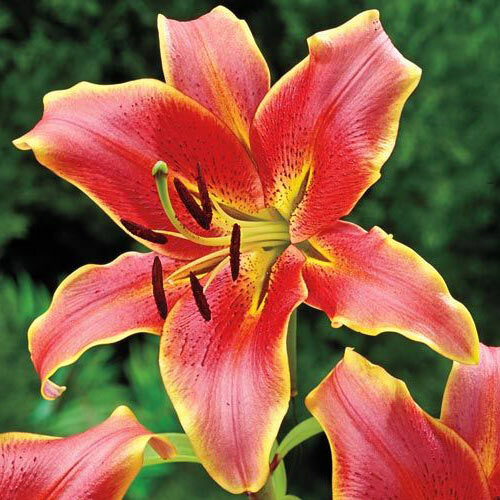 All this on incredibly sturdy stems that reach up 3-4 feet the first year, 5-6 feet the next year and upwards to 6-8 feet in three years! This rapid growth comes in part from the Lily Tree's unique ability to offshoot new stems from a single bulb. 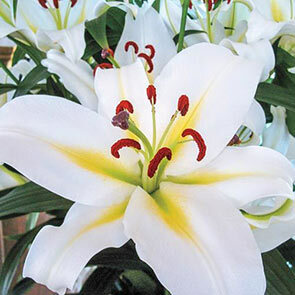 Lily Trees naturalize well and require no special care. The stems are so strong, the plant needs no added support. 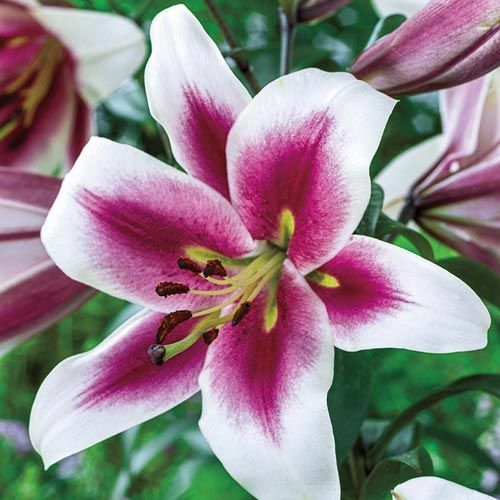 After the lily is done flowering, it will benefit from a feeding with Breck's® Food for Bulbs and Perennials to stimulate growth. 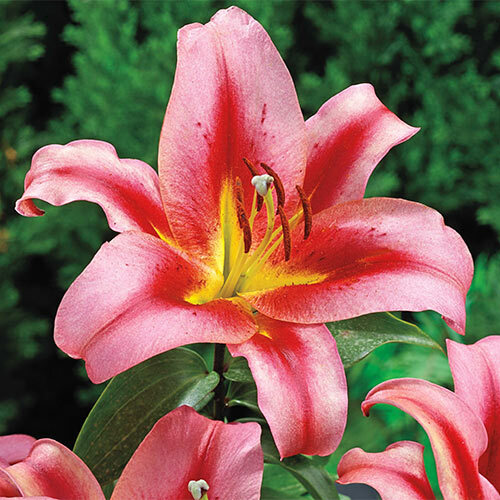 But regardless, your Lily Trees will increase and bloom again every year. 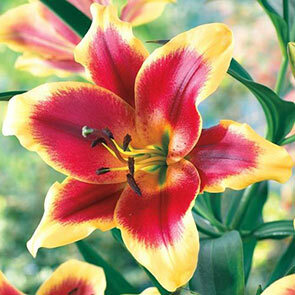 Never before has a lily achieved such heights of beauty. You can just imagine Jack climbing up these thick, sturdy stalks. 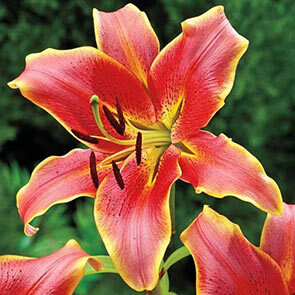 But at the top, the only giants he would find are the huge, luxuriant lily blooms! The five varieties chosen for each of these collections represent the very best performers we have found. 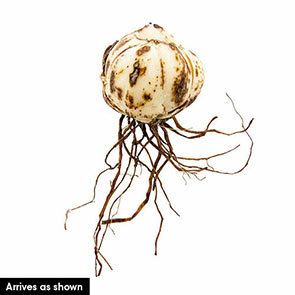 And as landscape ornaments, nothing could be more versatile. Just imagine the delightful scene you will be treated to every summer when you see these big, colourful lilies towering overhead and catch the exquisite perfume on the breeze. 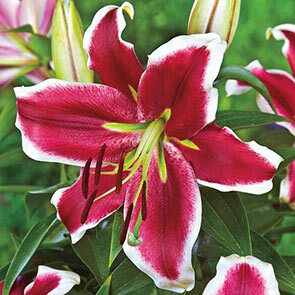 Lily Trees have fast become a favourite with our staff here in Noordwijkerhout, Holland. 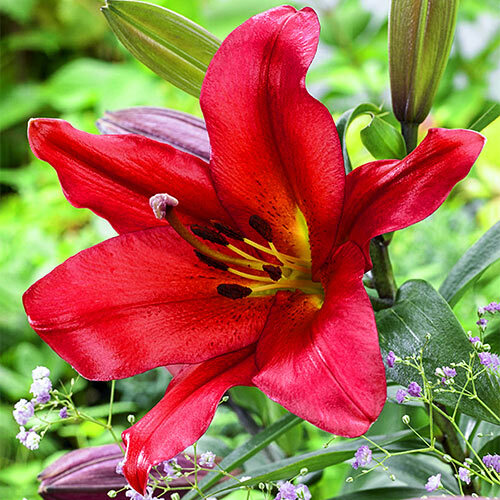 Once we saw how well these amazing hybrids performed in our test gardens, we couldn't resist planting some around our building. Visitors to our office regularly comment on them, and we are sure your guests will be equally entranced. Lily Trees are ideal for planting at the back of borders or the corner of beds where their massive height can be fully appreciated. They are excellent visual anchors that will help define your landscape. 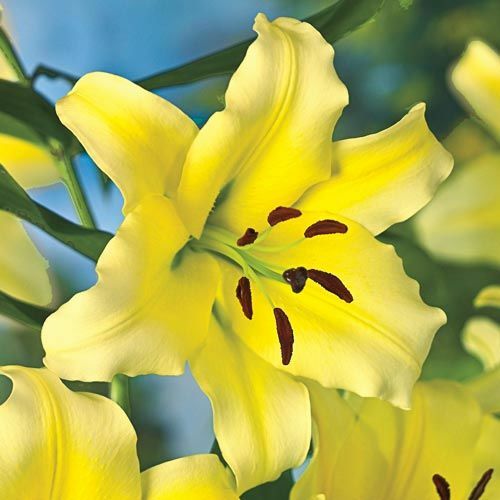 The lush, bright green foliage lasts all season and forms a magnificent backdrop for other lilies as well as other perennials. 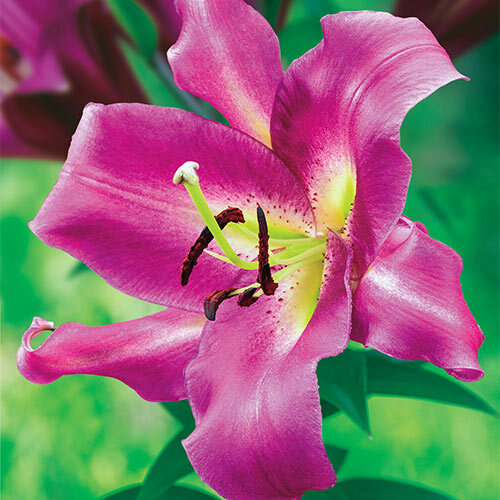 Flower Form Out facing, pendant flowers with thick waxy petals.